Men are slightly more susceptible to kidney failure than women. African Americans comprise 30 percent of those with end-stage kidney disease (ESRD), almost twice their frequency in the population at large. 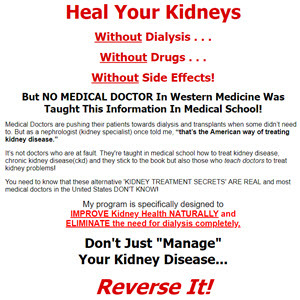 Native-born Americans and Pacific Islanders are also particularly susceptible, but anyone can get kidney disease. The following groups of people are at high risk for developing kidney disease owing to inherited susceptibility. As mentioned, a majority of first-degree relatives of patients (siblings, children, and parents) with ESRD have signs of kidney disease and usually are unaware of it. The explanation is uncertain, but this observation suggests that congenital or familial factors may be of major importance. A check on urine protein and blood pressure of those at risk could identify most of those who may develop kidney failure. Such individuals need to check their own urine protein and their own blood pressure and report to their physician if either is abnormal. In this inherited condition, multiple cysts develop in the kidneys. On the average, half of the children of people with this disorder are destined to get the disease. About half of these, in turn, will develop kidney failure. Although all cases of polycystic kidney disease are the result of genetic defects, some of these are spontaneous mutations rather than inherited defects, so that not all patients will have an affected parent. DNA testing is available to determine the presence of the disease right from infancy, but is quite expensive, and the results can be confusing, because several genes may be defective. By age 20 or so, ultrasound examination of the kidneys can detect the disease. If it is present, multiple cysts will be found. Without sophisticated tests, the disease may not become apparent until age 30 to 50. Sometimes the cysts become enormous, so that they are visible from outside the body. Protein in the urine is not always present during the early stages of the disease, so a blood test for creatinine may be required, followed by an ultrasound examination of the kidneys, to confirm the diagnosis. Further complications with this disease sometimes include cysts in the liver, but they usually cause few ill effects. More serious are dilatations of the arteries in the brain (aneurysms), which can cause fatal bleeding, and should be surgically obliterated. Some subjects at risk for polycystic kidney disease elect to forgo these tests and to rely on annual serum creatinine determinations, on the theory that, since no treatment is available, why get the bad news any sooner than you have to? This is obviously a difficult and complex choice, especially for people who plan to marry and have children. There are also a number of inherited kidney diseases other than poly-cystic, although they are much less common.